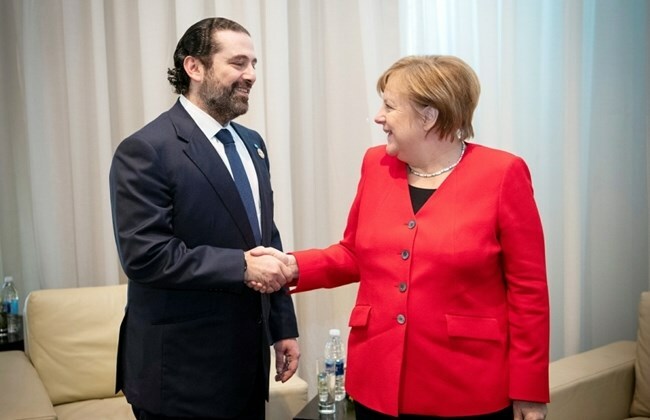 Prime Minister Saad Hariri said Monday European leaders had solidified their support for the results of the CEDRE conference held in April to bolster Lebanon’s economy during meetings held with the premier during the EU-Arab League summit. Hariri’s comments came after his meeting with Egyptian President Abdel-Fattah al-Sisi on the sidelines of the first European Union-Arab League summit, which opened Sunday in Sharm el-Sheikh. 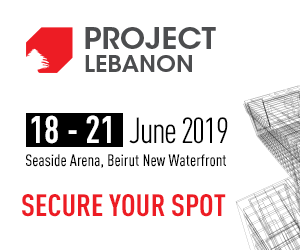 The CEDRE conference, held last year in Paris, saw the international community pledge more than $11 billion in grants and soft loans aimed at supporting Lebanon’s economy and infrastructure. Lebanon jeopardized access to those pledges amid the months-long delay in government formation, as unlocking the funds required implementing a series of reforms that only a fully empowered Cabinet could enact. Hariri’s discussions of CEDRE at the summit came as European officials continue to reassert the EU’s economic ties with Lebanon. French diplomat Pierre Duquesne, who was tasked with following up on the results of CEDRE, is expected to arrive in Beirut next week. Coming from Egypt, EU foreign policy chief Federica Mogherini arrived in Beirut Monday, where she met with Foreign Minister Gebran Bassil and discussed economic ties between Europe and Lebanon. During a joint news conference with Mogherini, Bassil said efforts were underway to increase Lebanese imports to Europe to help boost the country’s economy. Speaking to reporters, Hariri said Lebanon needed significant reforms that all the political parties represented in the new government had agreed on. “I depend on each of the political parties to commit to the reforms that we have agreed on. There are decisions that we are going to take, some that might be tough, but what is tough is the need to change the way we work,” Hariri said. The premier highlighted the economic revival he had promised to implement in Lebanon, saying he was committed to preserving the country’s economy, which many experts and officials had raised concerns about in the lead-up to government formation. “Politics doesn’t put bread on the table, but the economy does,” Hariri said. “Political disputes will always be there, but what is important is that it doesn’t affect the economic situation. People’s living conditions are the most important thing to me.” Discussing terrorism and its impact on the region’s economy, Hariri pointed to the ongoing cooperation between Lebanon and Egypt. “Fighting terrorism is crucial. Any economy is based on stability and security, and terrorists are targeting both,” Hariri said. Hariri also focused on reviving Lebanon’s economy during a closed-door summit session Monday morning. “Lebanon will witness in the next period a real economic and investment renaissance, and I invite you all to visit our country and examine closely its promising opportunities,” Hariri said at the session, according to a statement from his office. He added that both EU and Arab countries had stood by Lebanon. “The European Union, just like the Arab brothers, has always been by Lebanon’s side, especially during the pivotal periods, most recently during the CEDRE conference, where they confirmed their support for the vision of the Lebanese government for stability, growth and employment. On the issue of Syrian refugees, the premier called on the international community to step up its role in resolving the crisis when he spoke to reporters after his meeting with Sisi. “We call for increasing the international efforts to ensure the safe and dignified return of displaced Syrians to their country, in accordance with international principles and laws, in a manner that ensures respect for the sovereignty and laws of the host countries,” Hariri said. The topic of refugees also came up during the meeting between Mogherini and Bassil, where the latter said that during the summit, there was a better understanding on the issue. “The solution is for the safe and dignified return of refugees,” Bassil said. In a tweet Monday, Sabrina Bellosi, an adviser to Mogherini expressed the EU’s support for safe refugee returns. “The #EU will keep supporting #Lebanon and a political solution for Syria that could also lead to a safe, voluntary and dignified return of the refugees,” she tweeted. Also Monday, Hariri held multiple meetings with foreign leaders on the summit sidelines. He met Kuwaiti Emir Sheikh Sabah al-Ahmad al-Jaber Al-Sabah, Bahrain’s King Hamad bin Isa bin Salman Al-Khalifa, Greek Prime Minister Alexis Tsipras and German Chancellor Angela Merkel. The premier also held talks about regional situation and ways of strengthening bilateral ties with Belgian Prime Minister Charles Michel, Dutch Prime Minister Mark Rutte and Cypriot President Nicos Anastasiades.